The daisy flower print on her frock, and even the cut of the dress, is so delightfully 90s. The nose-to-ear chain, silver jewelry, and straw hat complete the retro ensemble. 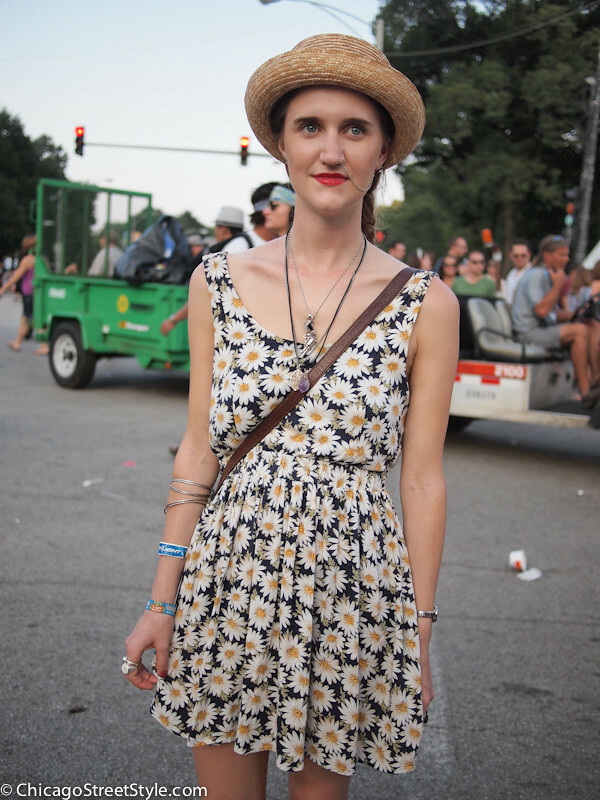 I wonder if Jane and her friends dress like this all the time or if they dressed in their finest threads from the 1990s to celebrate the 20th anniversary of the iconic Lollapalooza music festival?